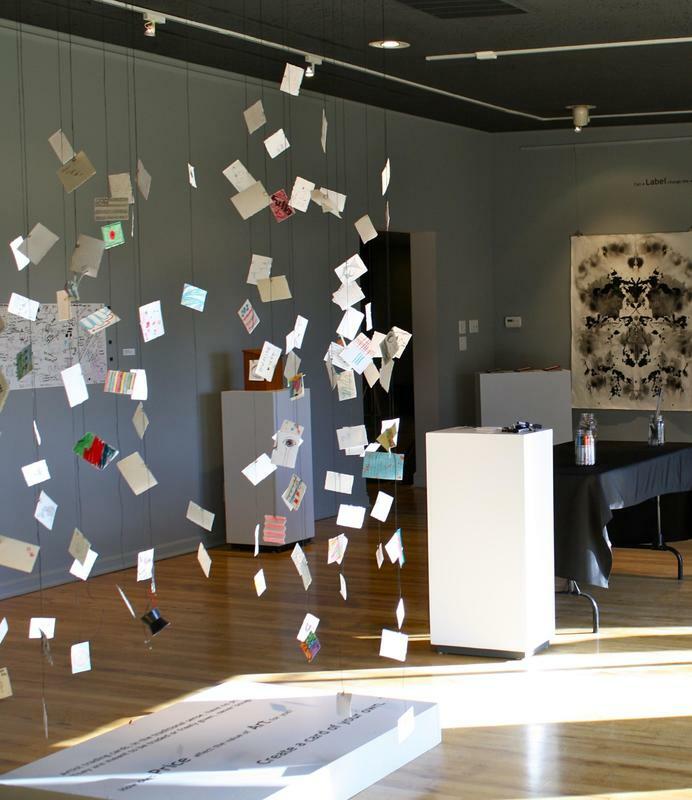 This show explored the idea of what makes art “Art” through several different lenses: price, permanency, materials, labeling, artists’ statements, and opinions. Each work posed a question about one of these lenses and invited the viewer to respond in an interactive way. This installation filled an entire gallery space, only selected works are shown here. 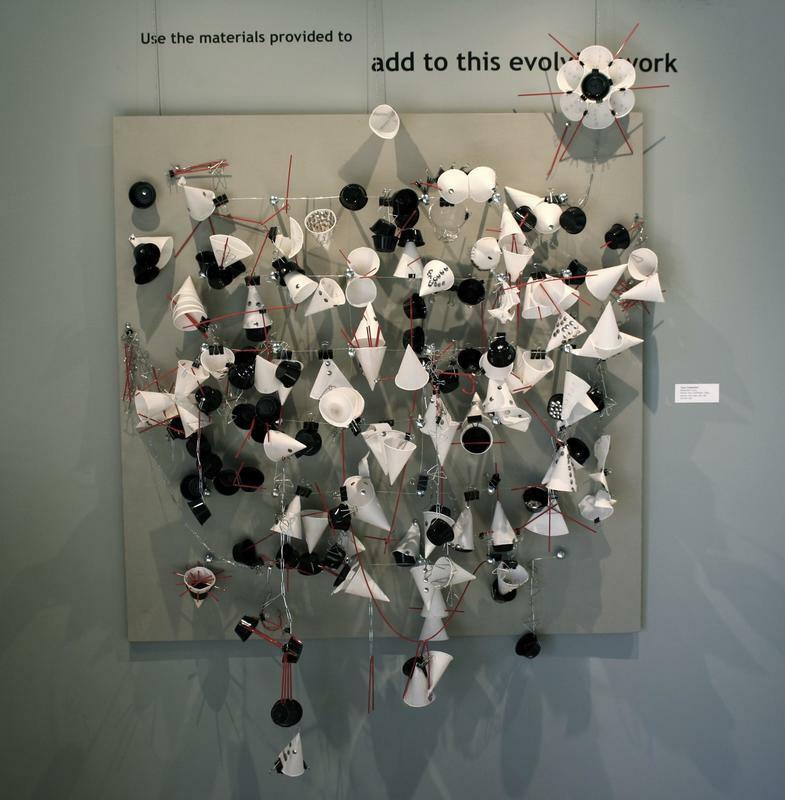 ​Question: For many, art implies a work created with traditional materials. 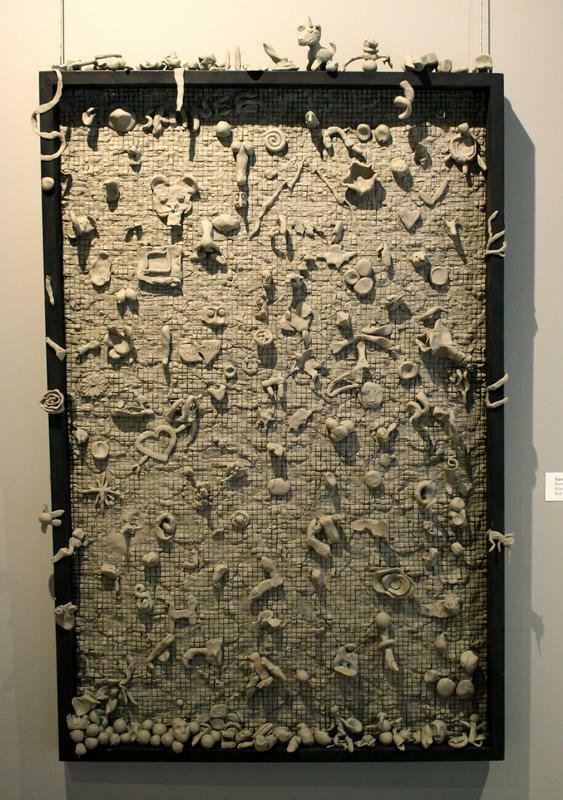 How does the meaning of art change when it is made from “non-art” materials? Prompt: Use the materials provided to add to this evolving piece. 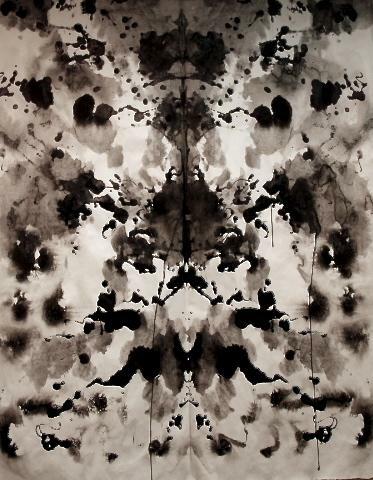 Question: How does the price of an artwork affect value for you? Is something more or less “Art” because of how much it costs? Prompt: Artist trading cards, in the traditional sense, have no price. They are meant to be traded or freely given, never bought and sold. Create a card to hang here. Question: How does the way something is labeled affect the way you see it? Can a title change your perception of the work? 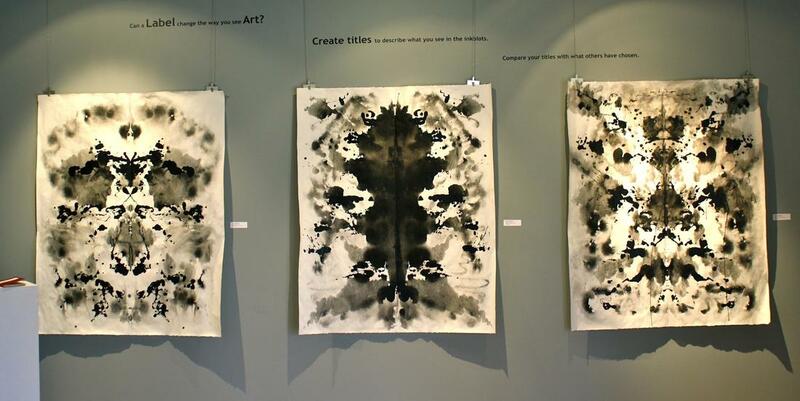 Prompt: Create labels to describe what you see in the inkblots. Compare your titles with what others have written. Question: Many think of art as a permanent object or a commodity. How important is permanency to your perception of art? 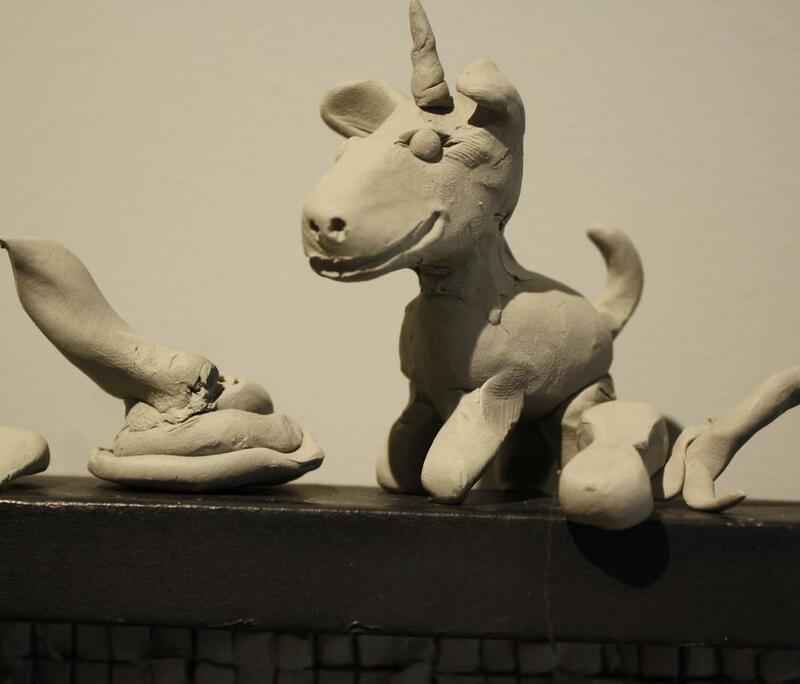 Prompt: Use the non-drying, non-permanent clay to add to this sculpture.